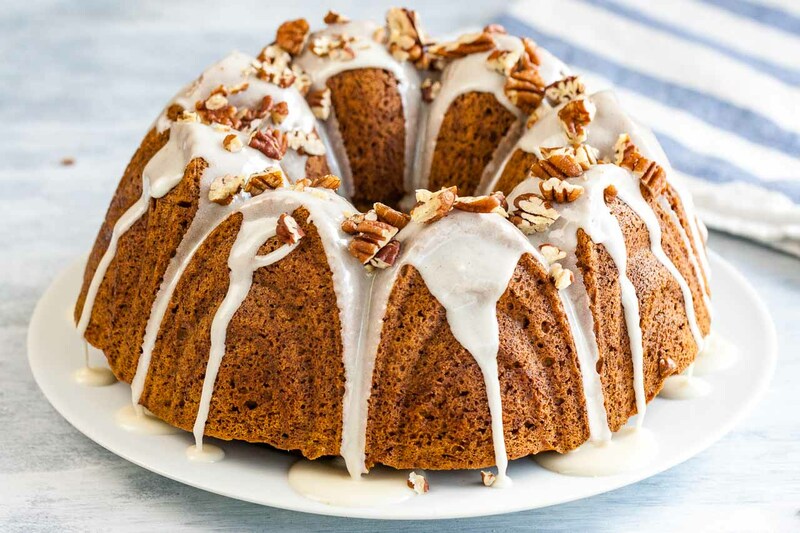 This Pumpkin Bundt Cake is super moist and topped with a maple glaze and toasted pecans! 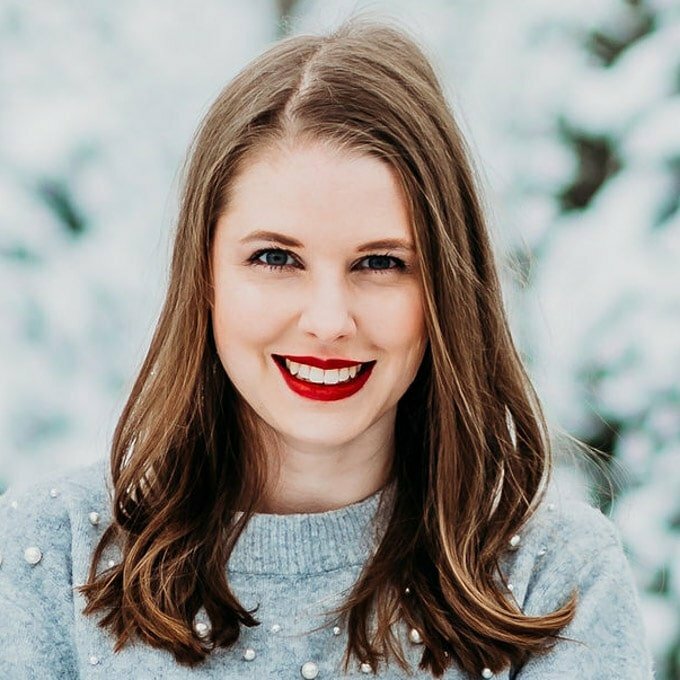 A perfect dessert for the holidays that “wow’s” and is easy enough to make even if you aren’t totally kitchen confident. 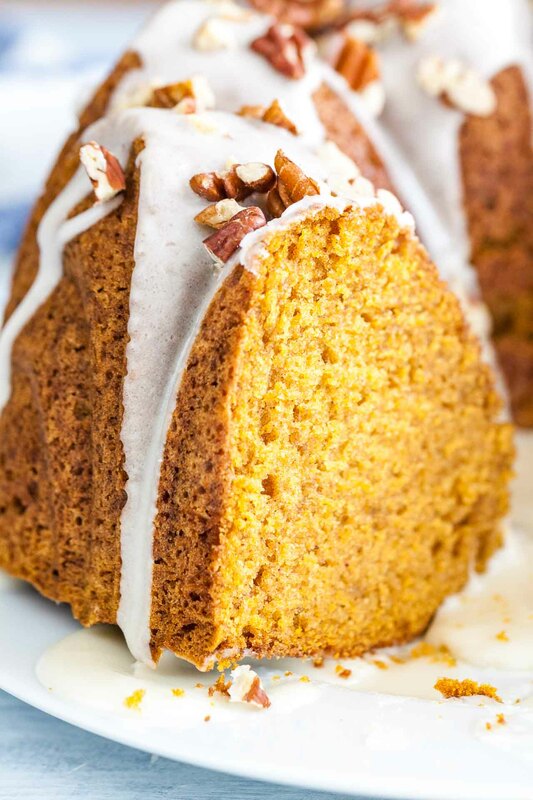 A simple, homemade Pumpkin Bundt Cake that is bursting with pumpkin spice flavor and so easy to make from scratch! 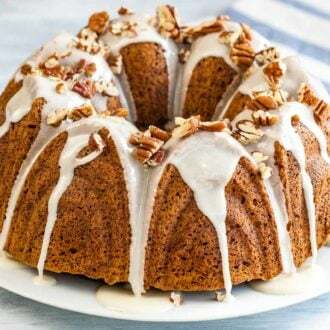 Bundt Cakes are probably my favorite cakes! 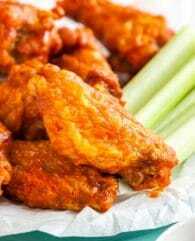 They are easy to make, slice and serve. Because of the shape of the pan, they look like you spent much more time making them than you actually did. No need for frosting or cake decorating, bundt cakes are natural beauties. 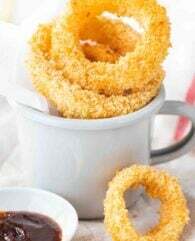 They look pretty with just a thin glaze dripped over the cake or dusted with powdered sugar. 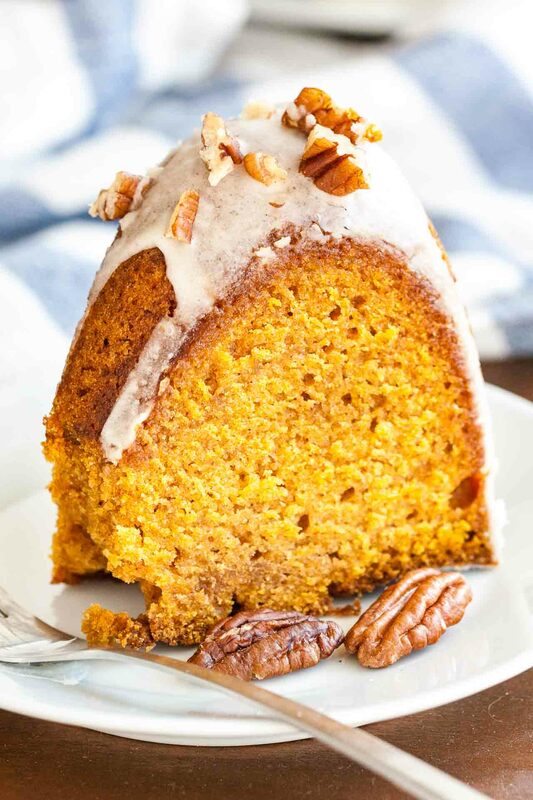 This bundt cake is super moist because it is made with one whole can of pumpkin puree. It can be made ahead and travels well! This would be a great cake for the holidays! Even nonstick coated bundt pans need to be well greased. Dusting with flour helps but is not usually necessary. 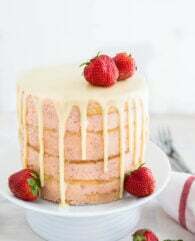 To remove the cake from the pan, place a large plate over it. Holde the plate in place and invert the pan. The cake should drop unto the plate. For this recipe, you need a 14oz can pure pumpkin puree, do not use pumpkin pie filling. 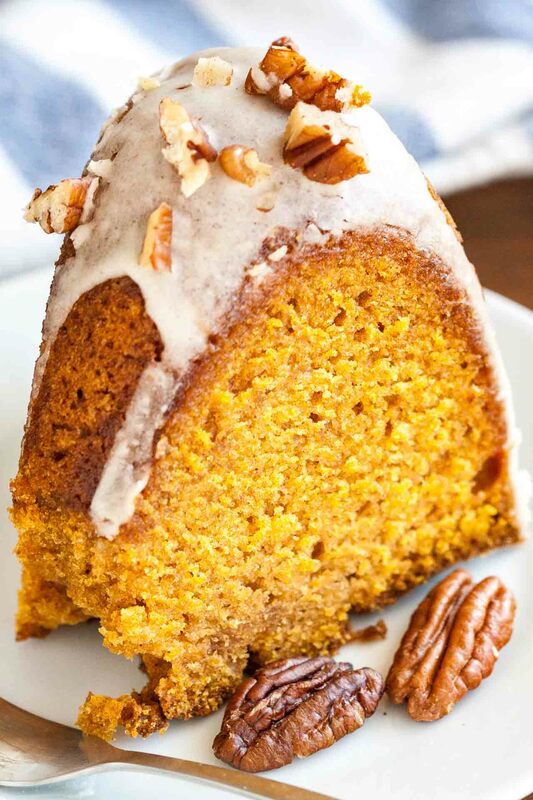 You can find all my pumpkin recipes here. : I use a 9.5-inch bundt pan with 10 cups capacity for my bundt cake recipes. 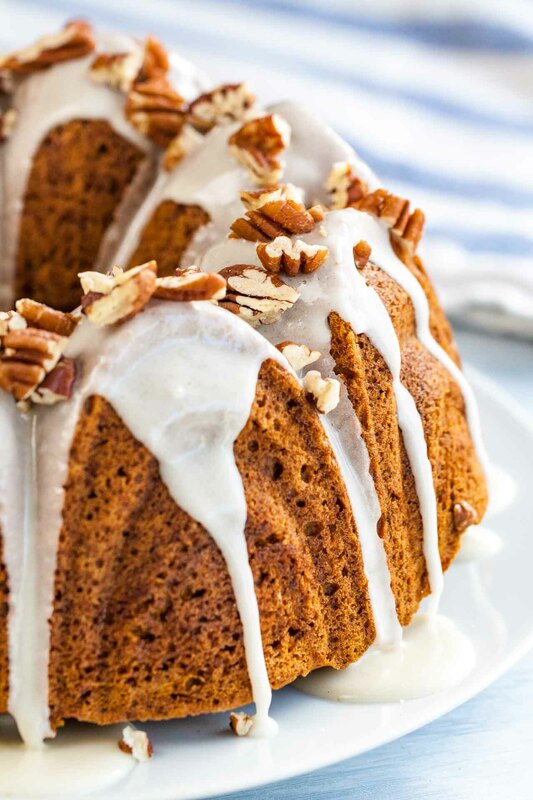 This Pumpkin Bundt Cake is super moist and topped with a maple glaze and toasted pecans! 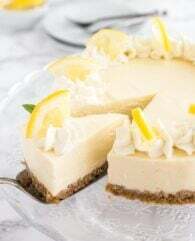 A perfect dessert for the holidays that "wow's" and is easy enough to make even if you aren’t totally kitchen confident. Preheat oven to 350°F (180°C) and grease a 10-cup bundt pan with butter or non-stick cooking spray. In the bowl of a stand mixer fitted with the paddle attachment, combine sugars and oil. Beat for 2 minutes at medium speed. Add eggs, one at a time and beat after each addition for 20 seconds. Add pumpkin puree and mix until combined. 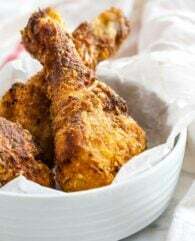 In a small bowl or large measuring cup, combine flour, baking soda, pumpkin pie spice, and salt. With the mixer running on low speed, add flour mixture and beat until just combined. Transfer batter to the prepared bundt pan and smooth the top of the batter. 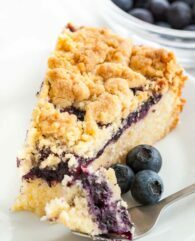 Bake for 55-60 minutes or until a skewer inserted into the center of the cake comes out mostly clean with only a few moist crumbs attached. Remove from oven and place on a cooling rack. Let cool the cake in the pan for 15 minutes before inverting onto the wire rack. Cool cake completely before adding the glaze. To make the glaze, combine powdered sugar, milk, and maple syrup. Drizzle over cooled cake and decorate with toasted pecans. It’s delicious. 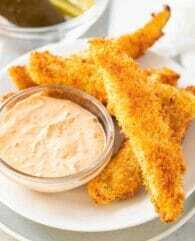 I used home grown pumpkin, roasted first, then pureed in my food processor. The first cake disappeared quickly, so I making #2 this morning.